Fullerton, CA ― The world occasionally produces one of those rare thinkers whose name becomes iconic. Thomas Edison lit up the world; Albert Einstein profoundly altered the study of physics; Walt Disney reimagined entertainment; and Leo Fender invented the electric guitar. Fender grew up in Fullerton, California, where his interest in electronics lead him to open his own radio repair shop in 1938. It wasn’t long before musicians and band leaders turned to him for help in repairing their equipment. Fender’s revolutionary guitar, the Fender Stratocaster, has been the preference of world-renowned musicians like Jimi Hendrix, Stevie Ray Vaughan, David Gilmour, Eric Clapton, George Harrison and Jeff Beck — to name a few. While his name is synonymous with fist-pumping rock and roll sound, in reality, Fender was a shy, unassuming inventor who was nearly deaf and had one glass eye. In 1946 he founded Fender Electric Instrument Manufacturing Company — the launch pad for his most iconic designs — and later on, G&L Musical Instruments. 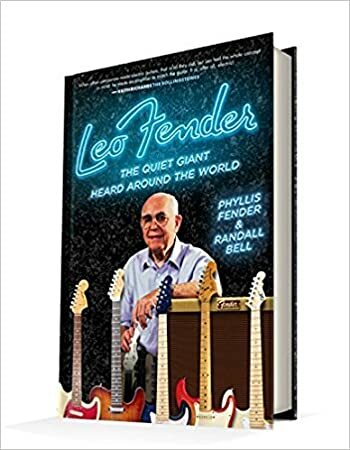 And now, his wife Phyllis Fender gives readers a memory-filled look into the wonderful world of this quiet genius in the book, Leo Fender: The Quiet Giant Heard Around the World. The book was co-written by Randall Bell, Ph.D., who grew up in Fender’s neighborhood and whose father was the head of the R&D department at Fender’s company. Fender’s game-changing contributions to the music world have been widely recognized. He was presented with the Country Music Association Pioneer Award in 1981; was inducted into the Country Music Hall of Fame, the Rock Walk of Fame and the Rock and Roll Hall of Fame. His accomplishments were also acknowledged with a Technical Grammy Award in 2009. Fender died in 1991. Today, Fender is a household name. But the quirky, shy inventor never lived large or flaunted his fame. He lived in a mobile home, even after selling his company for $300 million (in today’s dollars). His daily routines and obsessions made him truly fascinating, and thanks to his enduring instruments, Fender’s legacy forever lives on. Author Phyllis Fender volunteers at the Fullerton Museum where she shares with visitors stories about her life with Leo. 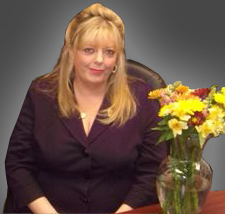 She also serves as the Honorary Chairman of G&L. Twenty-two years ago, two different doctors told Phyllis that she had six months to live. Today, both of those doctors are dead, and she is here to finally tell this remarkable story. I would like to send a complimentary copy of one of the books in the Reimagining Cancer series by doctors Mark Boguski and Michele Berman, in consideration of an interview or review from you. Appealing to our celebrity-driven society, doctors Boguski and Berman are helping to increase cancer awareness. Both Reimagining Men’s Cancers and Reimagining Women’s Cancers provide critical medical information through personal accounts of celebrities coping with cancer that are not only inspiring, they can save lives. 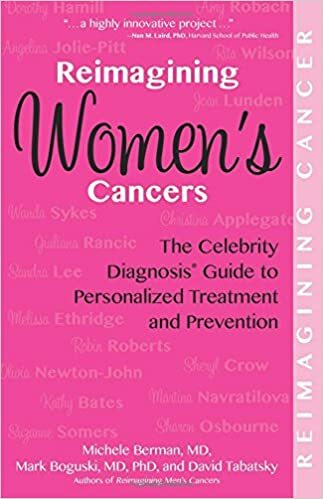 Connecting with an admired celebrity figure over something as life-altering as cancer can trigger readers to take preventative action for their health, as well as inspire hope in a patient already diagnosed. Since someone is diagnosed with cancer every 23 seconds in America (a rate that’s expected to rise by 2 million new patients in 2016), ensuring the delivery of accurate information is vital! Please read the press release below and let me know if I may schedule an interview with either author, or forward a review copy of one of their books. 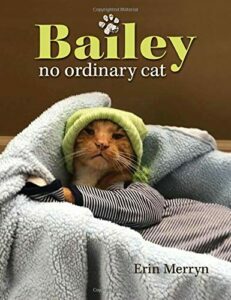 If you would like to run this story we’d be happy to send you .jpgs of the doctors and the book covers. Thank you. Boston, MA – Cancer doesn’t have to be a death sentence. The get-out-of-cancer-free card? Prevention through information. The recent World Cancer Report from the World Health Organization states that about half of all cancers are preventable and can be avoided if current medical knowledge is better delivered. From People magazine, with a readership of 43 million to Internet sites like JustJared.com with over 80 million monthly views, celebrity information not only sells, it has the ability to educate about important issues––including cancer. Whether readers are currently patients or consumers wanting to be better informed, Reimagining Men’s Cancers and Reimagining Women’s Cancers exemplify that information is empowering. Reading about a famous person coping with cancer can not only be inspiring, it can save a life. 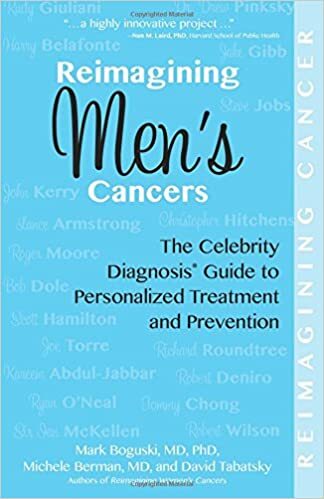 In the first two books of their Reimagining Cancer series, doctors Mark Boguski and Michele Berman team with writer David Tabatsky to provide celebrity stories focusing on the most common cancers that affect men and women today. To provide readers with critical information to help them manage, cope, and recover from illness, these books are written in an easy-to-read style and format. Each chapter begins with basic anatomy concerning each cancer, followed by an overview of how we view a particular cancer today. The chapters flow easily into an explanation of signs, symptoms, diagnoses, scientific information and guidelines, and end on comprehensive surveys for treatments and prevention. 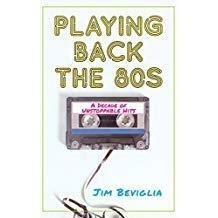 Woven throughout are stories, both medical and anecdotal, from celebrities such as Michael Douglas, Robert De Niro, Lance Armstrong, Angelina Jolie, Joan Lunden, Melissa Etheridge, Sandra Lee, Rita Wilson, Christina Applegate, and Suzanne Somers. Every 23 seconds someone in America is diagnosed with cancer. Education is the key, and by using clear and concise information by means of celebrity stories, these books can teach countless readers who might otherwise not pay attention to an epidemic likely to affect them or a loved one. Dr. Mark Boguski and Dr. Michele Berman are a husband and wife team of physicians who have trained and taught at some of the top medical schools and research institutions in the country, including Harvard, Johns Hopkins, Washington University in St. Louis, the National Library of Medicine and the National Institutes of Health. Celebrity Diagnosis, the website they founded and launched in 2009, is now featured as an integral part of the American Association for Cancer Research website and combines celebrity health conditions with up-to-date medical information on numerous cancers. Through their website, Dr. Boguski and Dr. Berman have created numerous “teachable moments in medicine,” giving the medical facts behind the headlines. Their aim is to increase health awareness and medical knowledge for patient empowerment and professional development, and raise the likelihood of consideration for early detection and preventative behavior. For a patient facing cancer, or for a medical student overwhelmed by data, medical information alone can be quite daunting and often misses out on the human factor that is so vital in prevention and healing. David Tabatsky, through his writing and editing, has added an essential element to the book through his interviews with patients and cancer support groups, as well as by making the book easy to read.